At Lakeview Dental, we can offer you many options when it comes to decayed and infected teeth. One such option is having a root canal treatment performed. When saving your tooth from having to be extracted is of the utmost importance, trust Dr. Adelakun and his team of dedicated dental professionals. One common misconception about having root canal treatment is that it can be quite painful. However, for most patients, it is no more painful than having a filling placed in a tooth. If you are someone who experiences anxiety during dental appointments we can accommodate you. During root canal treatment you may choose to be sedated to help to relax and remain calm during the procedure. 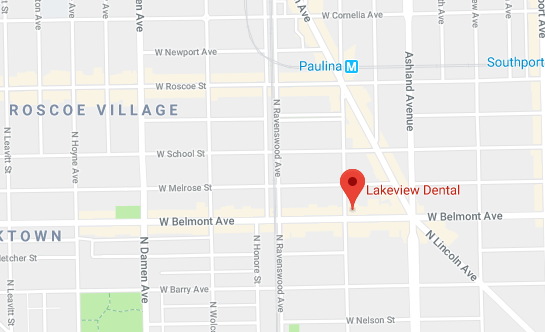 When you choose to have your root canal treatment performed at Lakeview Dental in the Lake View and Roscoe Village area, you can enjoy the latest technology in a comfortable and safe environment. During the procedure Dr. Adelakun will remove the nerve and the pulp from your damaged tooth. He will then clean and disinfect the interior of the tooth, fill it with a rubber like substance called Gutta Percha, and then fit it with a crown to restore functionality. If you are experiencing extreme tooth pain, sensitivity to hot and cold temperatures, or swelling in gums around the tooth contact us today to determine if a root canal treatment is right for you.